Innovation, teamwork and sustainability are qualities that Argo Group values – this year and every year. Not only does the company strive to exhibit these qualities, but it also supports others who do. • Artemis Racing competed in the 2017 Louis Vuitton America’s Cup Challenger Playoffs. Held over a week in June in Bermuda, the playoffs determined which team would challenge Oracle Team USA for the 2017 America’s Cup. Artemis Racing advanced to the final of the playoffs before bowing out to Emirates Team New Zealand, the eventual winner of the America’s Cup. • Vestas 11th Hour Racing is one of seven teams taking part in the 2017-2018 Volvo Ocean Race. After two legs of the nine-month around-the-world competition, Vestas 11th Hour Racing is in second place, a single point behind the overall race leader. • Dragon Racing competes in the FIA Formula E Championship, the world’s top circuit for electric-powered vehicles. Argo Group was an official sponsor of Dragon Racing for the 2016-17 season and continues in this capacity for the current 2017-18 season. 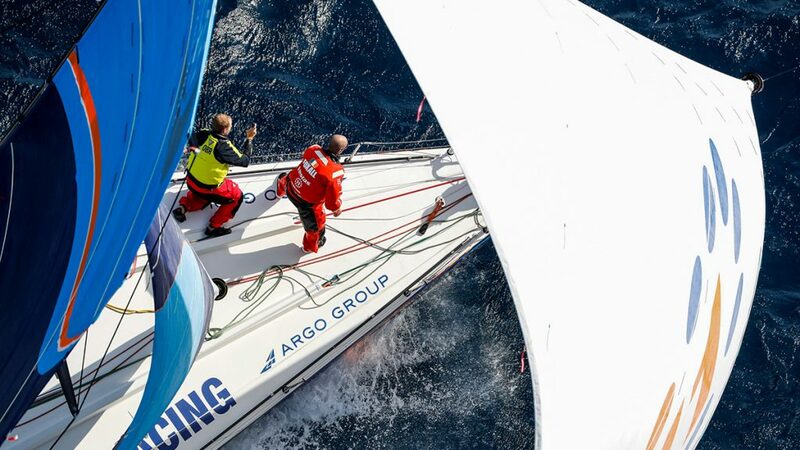 Argo Group thanks Artemis Racing for welcoming the company on board its America’s Cup team, and wishes Dragon Racing and Vestas 11th Hour Racing good luck as they race for top spot in their respective competitions. These three words come to mind when Argo Insurance President Nigel Mortimer contemplates key global re/insurance trends in 2018.